The 76 Cadets who graduated from the Mountaineer ChalleNGe Academy on June 14, 2013, were the first program completers able to earn High School Diplomas. Until this year, Cadets in the program only qualified to receive a GED. Under new state policy, if the Cadets meet all established high school graduation benchmarks, they can receive a High School Diploma from their home high school. Currently there are over 150 Cadets enrolled in the Academy. The WV State Board of Education approved revisions to Policy 2444.4, Issuance of the State of West Virginia General Education Development (GED) Diploma to allow Mountaineer ChalleNGe Academy to become an Option Pathway Program. This change will allow students to complete their high school equivalency and earn a diploma from their high school of origin. “This is good news for students who took advantage of the second chance Mountaineer ChalleNGe offered to complete their high school education,” said WV State Superintendent of Schools Jim Phares. “They acknowledged the mistakes they had made but did not let the behavior define them and now they are ready for the next life ChalleNGe.” Dr. Phares presented diplomas to the Cadets in a private ceremony prior to the MCA service. “Mountaineer ChalleNGe Academy provides a true alternative to the public school system. With 24 hour, 7 day a week participation, ChalleNGe requires focus and dedication. The Cadets work very hard to complete all the requirements necessary for a High School Diploma,” states Kathy Tasker, Director of the Mountaineer ChalleNGe Academy. Class 42 is now forming. Applications are available on-line at wvChalleNGe.org or by calling 1-800-529-7700. The Mountaineer ChalleNGe Academy is operated by the West Virginia National Guard. The mission of the Academy is to train and mentor selected volunteer students, using eight core components in a structured quasi-military residential environment. 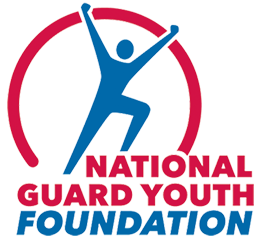 The students participate in a rigorous program, which focuses on academic excellence, life coping skills, job skills, health and hygiene, responsible citizenship, service to the community, leadership and physical fitness. The 22-week program for 16 to 18-year-olds is located at Camp Dawson in Kingwood, West Virginia.